Esurance is relatively new in the industry. Founded in 1998, they were one of the first companies to put an emphasis on technology. They allow consumers to buy insurance and manage their policies entirely online via the Internet and through a mobile app (hence the name “e-surance”). This means you can do anything from file a claim to get a quote to change your coverage options 24 hours a day, 7 days a week. Since that time just about every other company has followed suit providing quotes and services via website or app. The company is backed by insurance giant Allstate, but the two are separate companies offering different policies and coverage options. Like many other insurance firms, Esurance offers the major policy types including automotive, homeowners, and life insurance along with a few that the competition does not (i.e. if you own a Segway scooter they will insure it for you). Every state in the country has a requirement for drivers to maintain some form of minimum insurance coverage to legally operate an automobile. However, those mandates might be insufficient to fully protect you and your vehicle. As you choose the size of your policy and its features, think about how much coverage you really need and how much you want to pay out-of-pocket for deductibles and other costs in the event you need to make a claim. There are a full range of policy protections that cover a wide variety of incidents (and corresponding costs) that you might encounter. 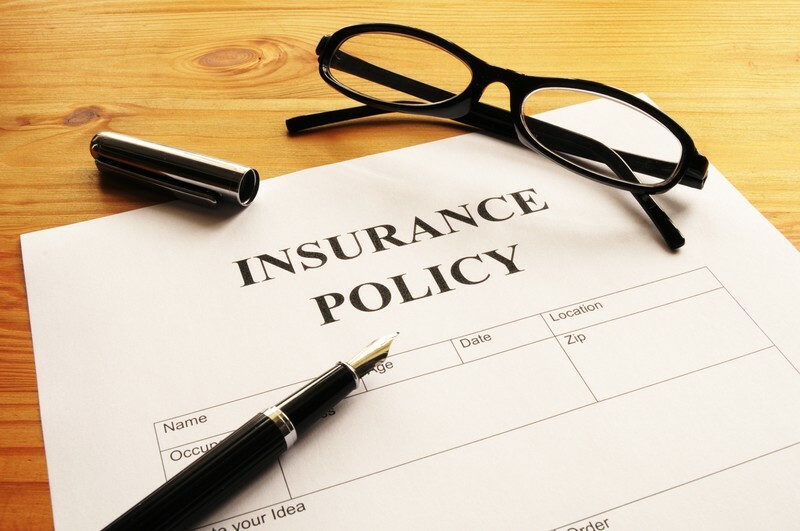 Here are many of the policy options that are available with Esurance to cover you, your family, and your automobile. Medical Payment Coverage: This coverage includes all medical and funeral expenses for you, additional drivers on the policy, and any passengers in the car that come as a result of death or injury in a vehicle crash. You don’t need to be in the insured automobile to be protected, either, as you are also covered should you be hit by car while riding a bicycle or crossing the street. Personal Injury Protection (PIP) Coverage: This protection is offered in no-fault states (some even mandate you have it). It’s the part of your policy that covers medical costs incurred by your passengers due to an accident. It doesn’t matter who is at fault in the mishap. The extent of the coverage mainly includes hospital stays, rehabilitation, and various additional costs. It could even cover wages lost from being incapacitated up to the preselected limits in your policy. If you drive in a no-fault state, there are restrictions in place governing what you may or may not legally recoup from other drivers that are involved in an accident with you. The applicable laws in a no-fault state mandate that you and your insurance provider are responsible for paying your own medical costs until the amount reaches a certain threshold. Comprehensive Coverage: This portion of your policy covers any repair or replacement costs incurred from your vehicle sustaining damage or destruction from almost anything other than another car. That means fire, natural disasters, theft, vandalism, and so on. Collision Coverage: Collision coverage is in place to cover the costs incurred to repair or replace your vehicle that has been damaged or destroyed in an accident or some other incident involving weather or theft. Most of the time, collision and comprehensive coverage are combined together in a policy. While these are not required under state laws, many lending companies providing vehicle financing and leasing expect you to have some minimum component of both. Emergency Roadside Service Coverage: Should your vehicle be disabled or stuck in some way, or you’ve run out of gas or experienced a flat tire, this part of the policy kicks in and gets you out of the jam. Without this coverage, costs associated with getting towed or having a battery jumped could come directly out of your pocket. Rental Car Coverage: If you are without your insured vehicle for any period of time due to an accident, this part of your policy covers the cost of renting a replacement vehicle. Depending on the state you live in, you could be eligible for the company’s CarMatch Rental Coverage program, where you can get reimbursed for the full cost of a rental car comparable to the one you own. Loan and Lease Gap Coverage: This form of protection can come in handy in the event your vehicle is totaled. If that vehicle is being financed or you have a lease, you may owe more than it’s worth. That’s where gap coverage comes in. If your car is deemed a complete loss, you will only receive the full value of the vehicle at the time of the accident. If you owe $23,000 on your new car, but your insurance company decides it was worth just $18,500 when it was totaled, that is what you will receive as a reimbursement. Gap coverage will cover the difference. Customized Equipment Coverage: Let’s say you put some time and money into your car by adding a new sound system, some rims, a chrome grill, or a custom paint job in a unique color. If your upgraded car is damaged or totaled entirely, this portion of the policy covers the cost of those enhancements. This is important because the standard limits of your policy may not apply to these add-ons. Liability Coverage: While comprehensive and collision are not legally mandated by law, maintaining some degree of liability coverage is important. This type of protection covers any and all costs including property damage, medical care, lost wages, and funeral expenses for other drivers and passengers in an accident where you are at fault. As a result, some states have certain minimums for holding adequate coverage. In order to meet the legal standard, you will be required to purchase a policy that is in compliance. You can purchase more coverage that goes beyond the minimum, but never anything less. Liability generally covers two forms of protection: bodily injury and property damage. Bodily injury covers all medical costs and lost wages of injured drivers and passengers involved in an accident. Property damage covers repair and replacement costs of other vehicles and property affected by the crash. This coverage ONLY takes care of all costs of the other party, none of your costs fall under liability protection. Uninsured and Underinsured Motorist Coverage: This additional coverage on a policy covers all expenses for medical and motor vehicle repair. It also covers lost wages. In some cases, it covers the costs if you are a party to an accident where the other driver has little or no insurance. This protection is also state-mandated in some parts of the country, while others don’t require you to carry it. 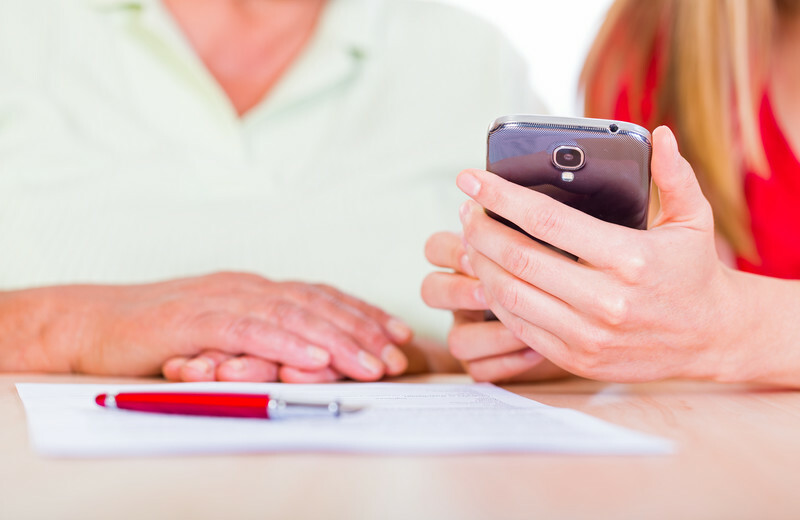 If you opt for this coverage, you will be well-protected should you find yourself needing it. These options are available from Esurance to cover more than just automobiles. You can purchase this protection for motorcycles, boats, ATV’s, RV’s, snowmobiles, classic cars, commercial vehicles, golf carts, and Segway scooters. In fact, Segway scooters are not cheap to own and falling off of one can be more injurious than you might think. Expensive medical bills and a damaged scooter could cost thousands to repair or replace. With Segway coverage, those costs won’t be entirely out-of-pocket. Discounts: Every insurance company offers discounts to consumers as a way of rewarding them with lower premiums. There are a myriad of reasons for the discounts, from keeping a spotless driving record to setting up automatic payments for your monthly bill. Here are just some of the ways you can save big with Esurance. Keep in mind, however, that not all of them are available in every state. Fast 5 Discount: You are immediately eligible for 5% off your first-term premium when you get a quote online. Multi-Policy Discount: Bundle your auto with homeowners or motorcycle insurance and you can get a lower rate on both. Paid-in-Full Discount: You can save up to 10% if you pay your annual premium in full instead of monthly payments. Claim-Free Discount: There are a set of requirements to qualify based on your state. If you maintain a clean driving record for five years you could save 10% to 25% on your rates. Pac-12 Discount: Do you currently attend or are an alum of one of the universities in the Pac-12 conference? That can yield up to 15% in savings. Good Driver Discount: You can save 30% to 40% if your driving record has one or fewer penalty points and hold a valid driver’s license for at least three years. Good Student Discount: Students under 25 years of age, with a 3.0 GPA or higher, can save up to 10% on liability and collision, as well as additional discounts based on the state in which you drive. Multi-Car Discount: If you insure more than one vehicle on the same Esurance policy, you could save on your premiums. How much saved all depends on you. Anti-Theft Discount: A vehicle with a car alarm and vehicle recovery system could save 5% to 25% off your rates. Safety Device Discount: Having a vehicle with safety features like automatic seat belts and manufacturer’s air bags may get a cost reduction from 2% to 33% on medical payments or personal injury coverage. This can vary by state. The other major line of products offered by Esurance is homeowners insurance. It functions in much the same way as automobile insurance. Your policy is designed to fully protect you should something happen to your home and the people or possessions inside of it. That includes the dwelling itself, any other buildings on the property and your personal belongings. It covers the extent of your responsibility for the safety of family members or guests while in your home. With Esurance, you can customize your policy to cover the things that matter to you the most. Your coverage can help you repair and replace the loss of your expensive musical instruments or the sensitive data on your computer’s hard drive. The way your policy works best is up to you because Esurance lets you customize it. Types of Homeowners Insurance Protection: These types of coverage are available with the majority of Esurance’s basic homeowner’s policies. This coverage is the foundation of your policy. It covers the loss of your home and any connected dwellings from damage or destruction caused by any of the occurrences listed above. How much coverage you get is usually enough to fully rebuild your home should it be entirely demolished. 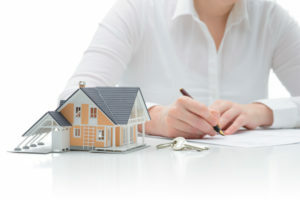 The amount is dependent on the size and value of the home. Other Structures Protection: This coverage is the same as the previous coverage but it applies to any other structures on your property whether it’s a tool shed, a barn, even a fence or carport. The amount of coverage you can get is typically 10 % of that in your dwelling protection. However, this can be adjusted to fully cover the costs of replacing these structures should they be damaged or razed. Living Expenses Protection: This portion of your policy will cover all of your living costs incurred should you need to relocate or leave your home for any length of time. The extent of that coverage is usually 12 months but in some cases, you could be covered for 24 months. The limit on your policy is set at 10% of your dwelling protection which can be adjusted based on your needs. Water Backup Protection: This is NOT flood insurance. It offers protection should you house sustain water damage from a backed up drain or a defective or malfunctioning sump pump. The extent of your coverage can vary based on where you live. The typical range is between $5,000 and $25,000. Personal Property Protection: This coverage covers all of your belongings, whether it’s in your home at the time of loss or if you have it with you as you travel. Most of the time, your coverage limit is equal to about 60% of your dwelling protection, but that can be adjusted based on your needs. The best way to determine what your limits should be is to take a full inventory of what you would need to spend to replace it all. Family Liability Protection: This is one of the most important parts of your coverage in that it protects you in the event someone is injured, or their property is damaged, while they are in your home. If you are sued, this will also assist in paying your legal defense. This coverage limit is typically set at $100,000. 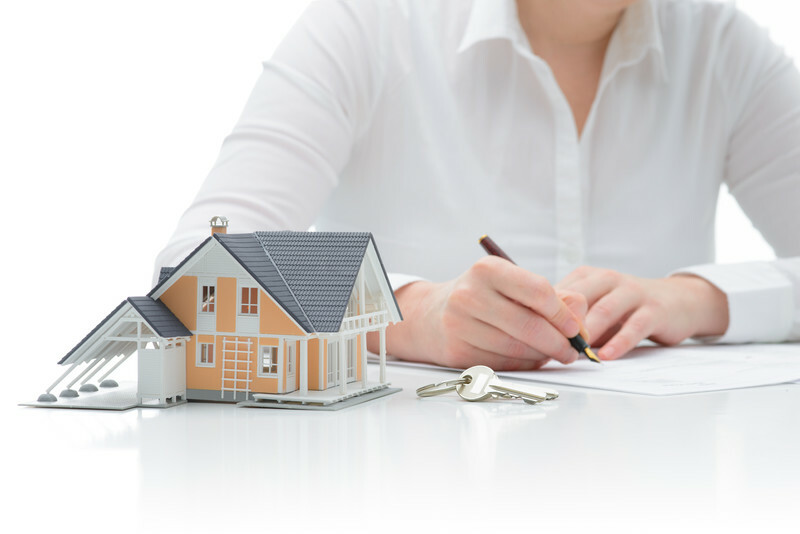 However, for sufficient protection, you can adjust it to match your assets and worth. Guest Medical Protection: This part of the policy covers medical bills of any guests or visitors who are injured while on your property. The maximum coverage limit is $5,000. Additional Protection Options: Optional protections may be added to your policy. They are not included in basic coverage. Some of these might not be available in every state. You will need to check to see if you are eligible for purchasing these additions. Building Codes Protection: You may not be fully covered by your basic policy if your home is damaged and rebuilding it means compliance with new city ordinances or building codes which would cost more than expected. This protection would cover the difference in what you need to spend. Your typical limit for coverage is normally 5% to 20% of your dwelling protection. Increased Building Structure Coverage: Adding this protection to your policy brings increased dwelling protection and affords extra coverage should your basic coverage be insufficient. The limits are about 20% to 40% of the dwelling coverage. Identity Theft Expenses Coverage: If you ever have your identity stolen, this coverage will be a strong ally in helping you put your credit record back together. You will be protected at up to $10,000 worth of costs incurred in repairing the damage. You’ll also get free access to your credit report and score. These protections are available for more than just homeowners. Renters and Condominium Insurance Coverage is also offered to consumers through Esurance. These protections are available for more than just homeowners. Renters and Condominium Insurance Coverage is also offered to consumers through Esurance. Term life insurance policies are the most widely sold products when it comes to getting the proper coverage for your family, should you meet an untimely end. Most of these policies can fit into any budget as they are fully customizable to the consumer’s needs. The rates are affordable and vary based on certain criteria along with the length of your term, which can run from one to thirty years. The premiums on this type of coverage are typically fixed, and will not increase before the term runs out. Additional coverage options are available to ensure that your family is well-protected. This form of insurance is suitable for many customers. It has its drawbacks, which are particularly due to the fact that it will not accrue any cash value over the life of the policy. In addition, payments are only issued as long as the policy is valid. If your thirty-year term is up in February and you pass away in April, no death benefit will be paid out. Esurance also offers other types of life insurance such as Universal and Whole Life policies. They offer lengthier terms and come with additional features including an option where wealth can be built up through the policy. These versions are often more expensive to buy. Before purchasing any policy, think about what you need and how life insurance will benefit you and your family. Esurance offers cell phone insurance along with the many other products for home, auto, and more. Esurance does not offer these coverage plans directly. They have partnered with eSecuritel to give their customers the peace of mind they’re looking for in safeguarding their phones. There are a number of plans available to subscribers. With a few exceptions, most makes and models are covered. These policies offer comprehensive coverage whether you leave your phone on the subway, have it stolen out of your purse, drop it and crack the screen, or it sustains irreparable water damage. All of these incidents are covered under an eSecuritel plan. Claims are approved quickly. If your phone needs to be replaced, the new device is also automatically covered. Insured customers may file two claims per year. The monthly premium won’t cost more than $5 to $11 a month. That fee will be added to your phone bill. Deductibles can run you anywhere from $50 to $175 based on the cost of your phone at the time it was insured. There is a lot to like about Esurance. While we have only scratched the surface as to everything the company offers, the material we’ve covered represents the bulk of their annual sales. What’s great about the company is the way they enable their customers to have total control over their policies through the use of technology. Esurance’s business model has been duplicated by many of their competitors. Esurance still maintains an excellent standard in customer service and claims response. Their cell phone and Segway insurance options give the company a unique presence in an overcrowded industry.